The annual Afterjam for Denver Global Game Jam 2015 will take place March 10th, 2015 in Colorado at the Microsoft Store Park Meadows. Details for the 2015 Denver Hackathon have also been updated. We plan to have food, hardware, prizes and more. Be sure to mark your calendar and RSVP ASAP. 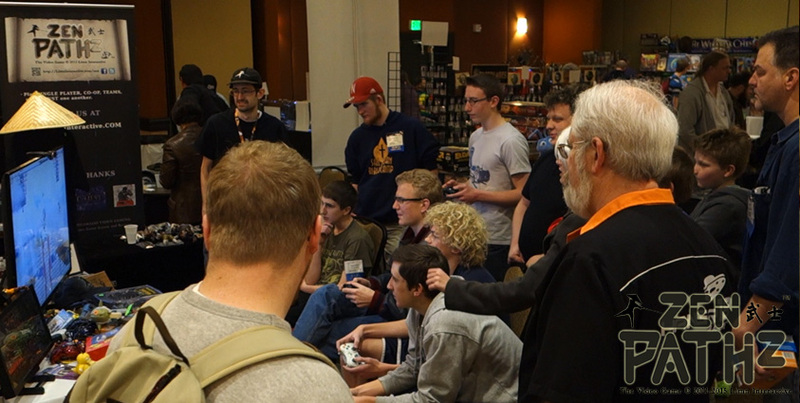 Join us for the 2015 Animeland Denver Video Game Party with Colorado eSports, casual gaming, local Denver video game companies, Colorado indie developers and more Feb 27th – Mar 1st, 2015. 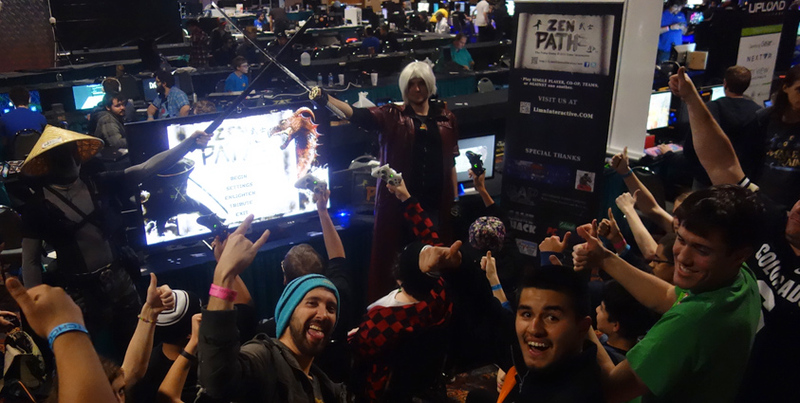 Gamers get into our Zen Pathz fighter/platformer e-sports game at Genghiscon. 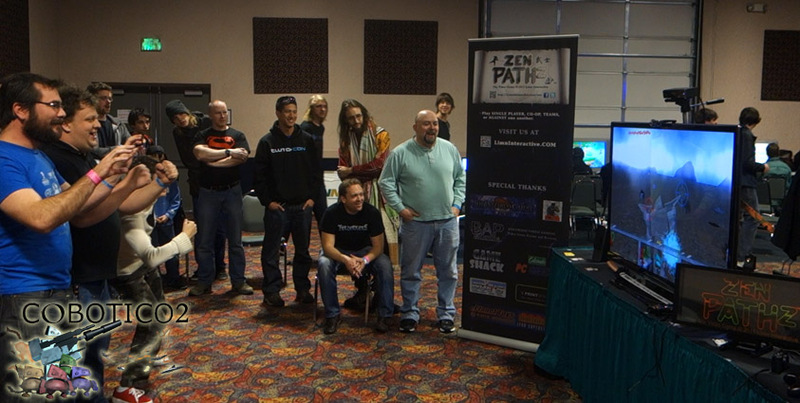 Great tournout for our most recent Zen Pathz Denver esports game tournament. Our new Kinect v2 game running on Unity3D draws a crowd at ClutchCon in Denver.